Our neighbors need access to affordable healthcare. Axis has provided healthcare to the neediest families of the Tri-Valley for over forty years. Today, we are a nationally-recognized leader in quality, affordable healthcare. As our community has grown, so has demand for our services - it's now higher than ever before. With our clinics at capacity, our only option is to expand. This $12 million project is funded by Alameda County, our local Tri-Valley cities, and a loan from the California Endowment. 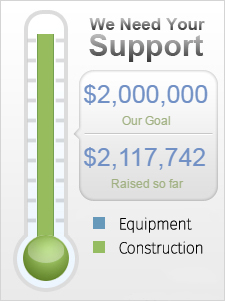 Axis needed to raise an additional $2 million - we did it! Construction is complete, and our doors are open! Each dollar is making a difference. Learn more about our our new health center, which will double our capacity. Learn more about our patients and how you can make a lasting difference in the health of our community.